Chinese smartphone manufacturer vernee is announcing the launch of its latest flagship mid-high model, the rugged phone - vernee V2 Pro, which features waterproof and dust resistance with a rating of IP68. At the same time, it is damage resistant. The vernee V2 Pro uses the latest all-screen design trends, and the appearance design is similar to Samsung Galaxy S8 Active. Vernee uses one of the most advanced technologies to improve the whole phone body design for better waterproofing and combines the all-screen with a rugged phone to make the vernee V2 Pro prettier and tougher. The vernee V2 Pro uses a 5.99" FHD+ all-screen with a 2160x1080 display. With the Corning Gorilla 2.5D glass, it is anti scratch and drop resistance. The screen-to-body ratio is up to 81.3%. From now on, the rugged phone can also have a wider and more attractive visual experience. 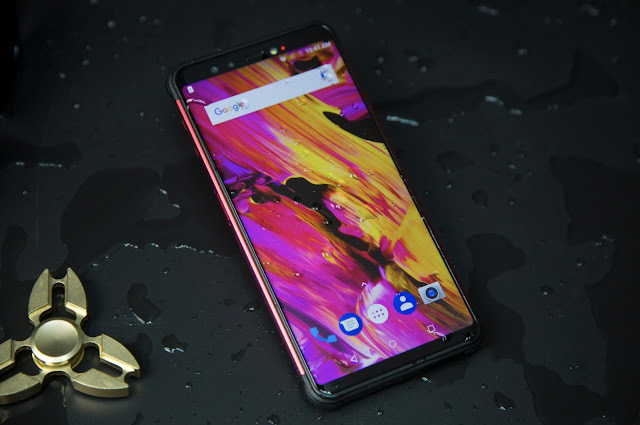 With the military level material, excellent sealing treatment technology and all-rounded waterproof structure, the vernee V2 Pro has upgraded the interior design and passed the test of the international IP68 waterproof rate. It can go 1.5 meters deep in water and works for at least 30 minutes. The tough back case with unique "small dot" design provides an outstanding anti-fouling and anti-slip ability. Thanks to the magnalium middle frame with thickened military level TPU material on the four corners, the vernee V2 Pro is firm and durable. After nearly 2,000, 6-sides-extreme-dropping tests, the vernee V2 Pro proved to be a 360 degree drop resistant rugged phone. What's more, the vernee V2 Pro has only 12mm thickness. With the dual 2.5D curve design, the V2 Pro is comfortable to hold. Compared to the traditional rugged phone, it is prettier and more fashionable. It is remarkable among rugged phones.